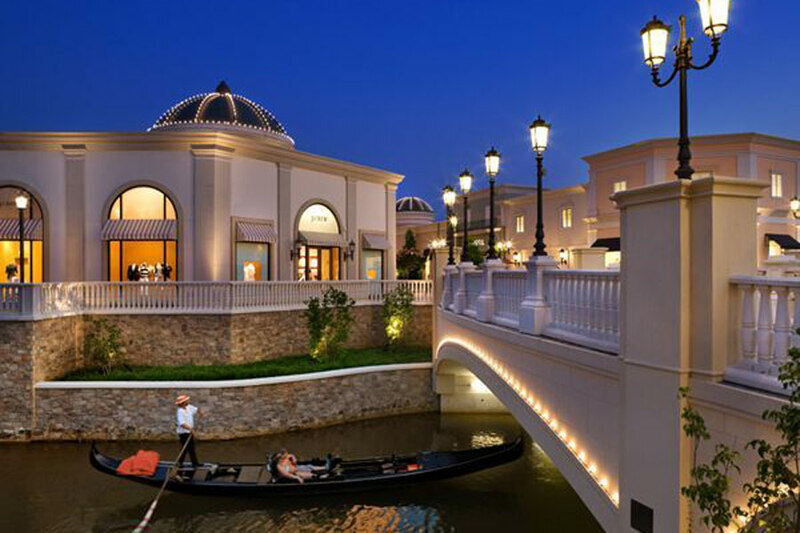 A premier mixed-use lifestyle center features a five-acre lake, carousel, gondola rides and weekend musical events. The project also includes an office building and hotel. Old world architectural style sets this property apart. 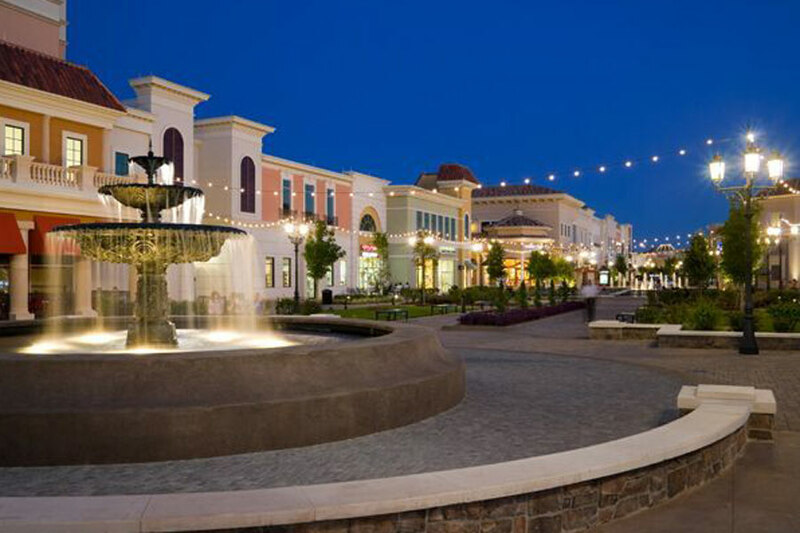 Public area lighting was designed to be reminscent of a European village.